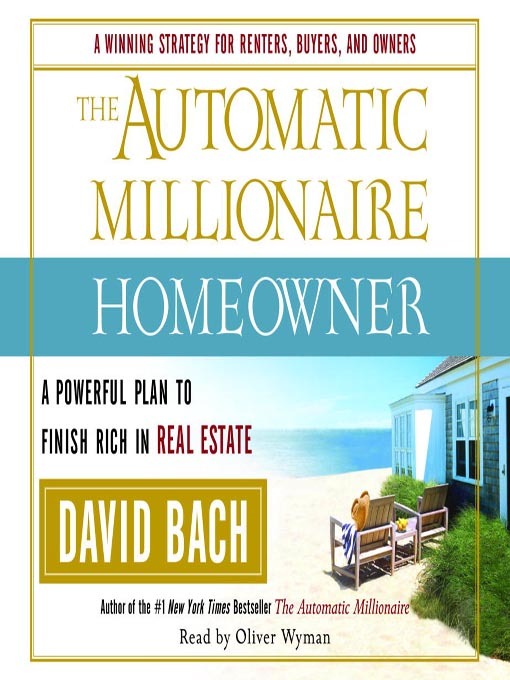 In his breakout 2004 bestseller, The Automatic Millionaire, David Bach showed why owning your own home is not only smart, it’s the core secret to becoming a millionaire. In his new book, tailored for a Canadian readership, he shows exactly how to make that happen with a simple, automatic plan you can read in an hour and put into place today. Renters will learn how to buy a first home, even with lousy credit and tiny savings. And existing homeowners will find out how to turn the roof over their heads into a powerful investment that doubles, triples, and quadruples in price while you simply enjoy living in it. And while you don’t have to be a landlord to finish rich, if you’re willing to be, David teaches you how simple it really is to buy a rental property even while you’re paying the mortgage on your home. The Automatic Millionaire Homeowner is brilliantly simple, easy to read, highly motivational with a realistic, take-action method for achieving financial prosperity in real estate, starting now.